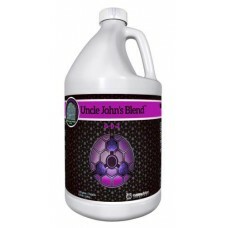 UNCLE JOHN'S BLEND (UJB) is a complex potassium mixture used primarily to enhance a plant's metabolic rate, especially for flowering plants during the blooming stage. Potassium is a major component in photosynthetic processes, including the production of ATP (plant sugars) and the transfer of those sugars throughout the plant tissue. 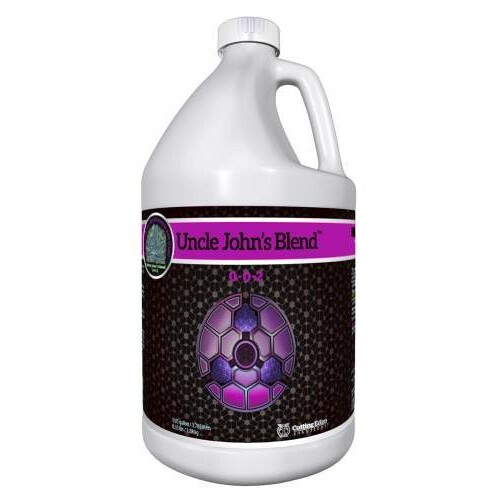 The low molecular weight of UJB makes it very available to the plant for immediate use, as well as making a very "clean" foliar spray that will not leave heavy buildup or residue on the plant tissue. 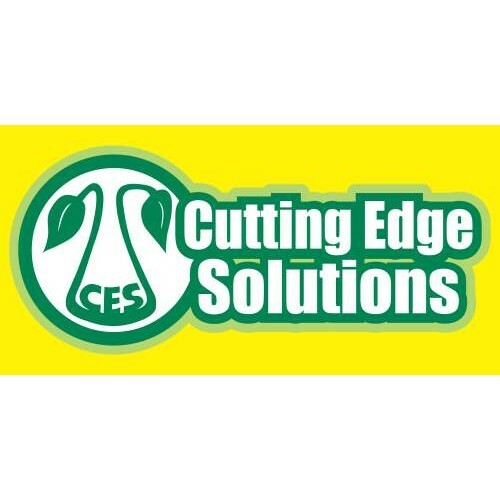 UJB can also be used in conjunction with CES' 2 other additives to produce custom foliar applications.